Description: A free customizable software service cross-functional process template is provided to download and print. 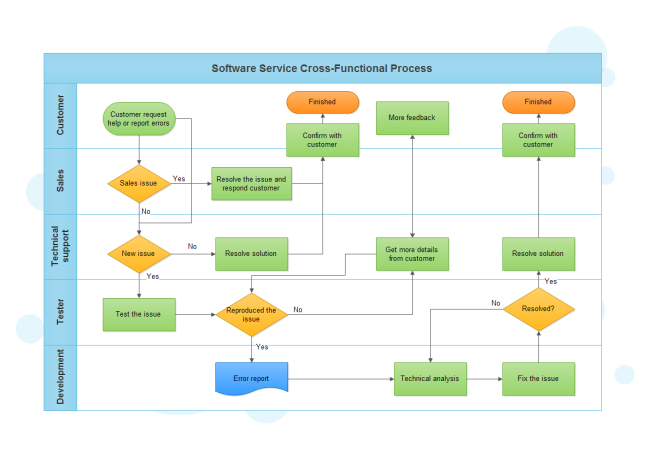 Quickly get a head-start when creating your own software service cross-functional flowchart. Making great-looking cross-functional flowcharts with this template only takes less than 10 minutes.